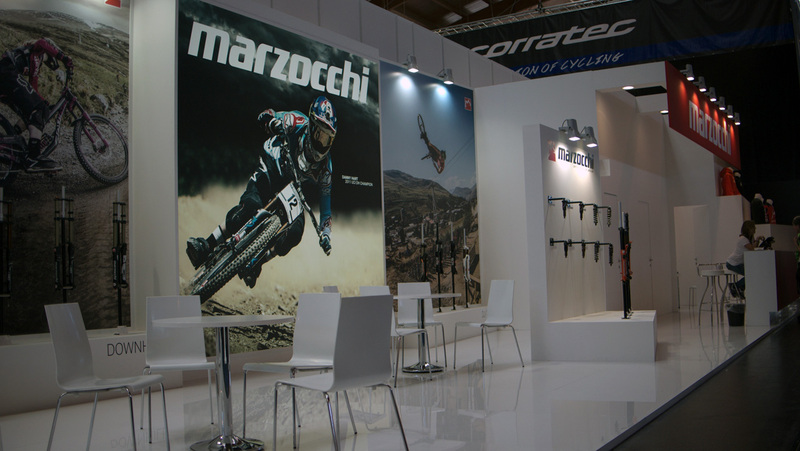 The first things we asked Marzocchi what’s “What’s happening? Do you still exist or not?” and we were given this answer to share with you: They are currently talking to a potential buyer, and expect to make some kind of announcement at Interbike. 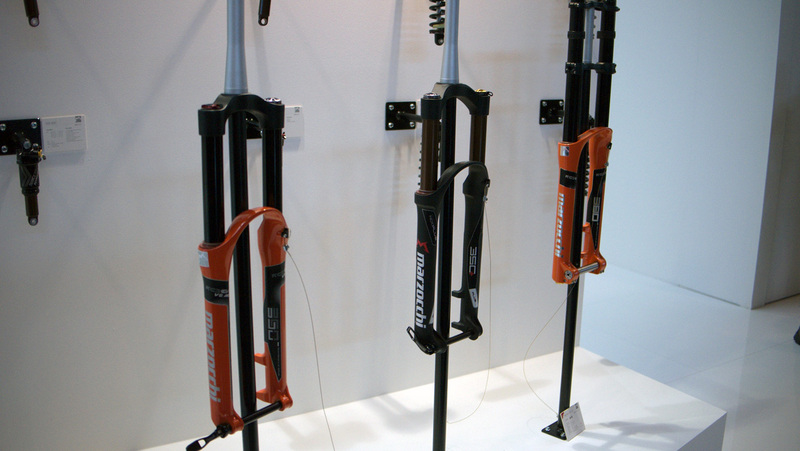 They were there with a fairly large stand and a whole range, among which we found three new forks and their new dropper post. 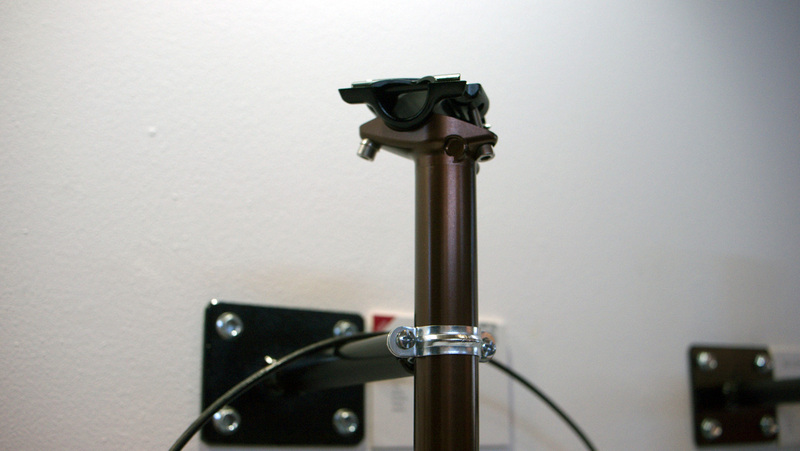 The Espresso Push Dropper (EPD INT) has stealth routing, and there will also be an EPD EXT for frames that like to let it all hang out. The EXT didn’t seem to be on show, but the cable on it runs to the top of the stanchion. 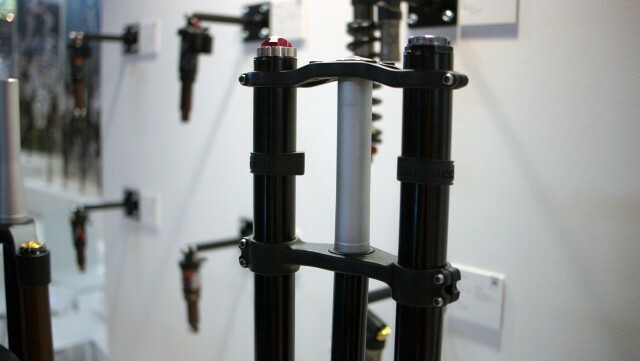 They’ll be available in 30.9 and 31.6mm, with 125mm of travel. 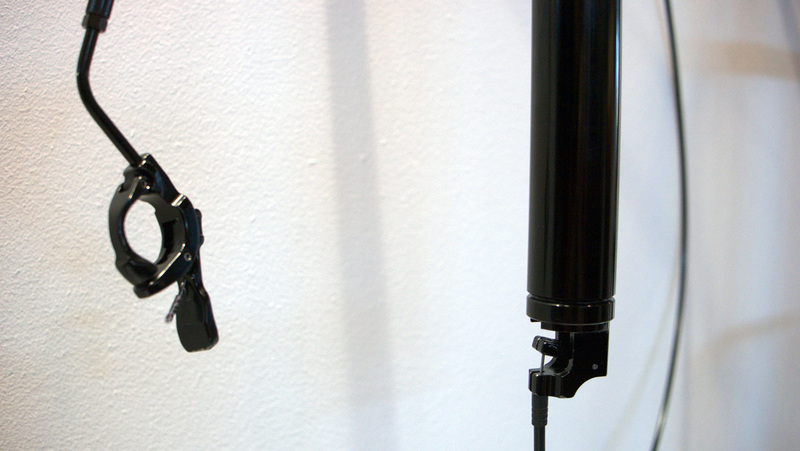 The INT weighs 540g and seems to have hydraulic internals, but with a cabled remote. More from Marz here. The presentation is a bit, hmm. The new forks on show were (deep breath) 350 RC3 EVO V2 AER, 350 Plus NCR, 380 RC3 EVO V2, which you can remember with the simple mnemonic 35RCCC3VVA3+N38RCCCEVV. 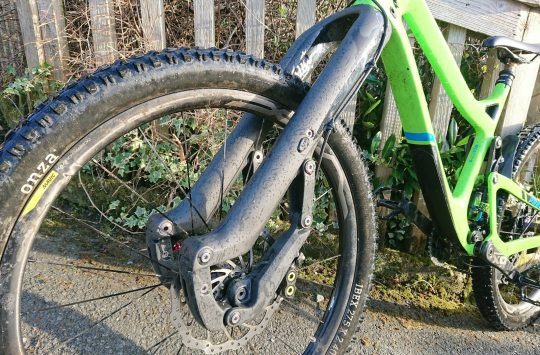 The air sprung 350 RC3 EVO V2 AER is aimed at your everyday enduro machine, with travel listed as 170mm and (150mm) in brackets. Unfortunately the travel change is a slightly complicated procedure and the fork manuals state they’re only to be carried out by authorised service centres (A quick google gives some pointers if you’re mechanically minded and don’t care about warranties though). 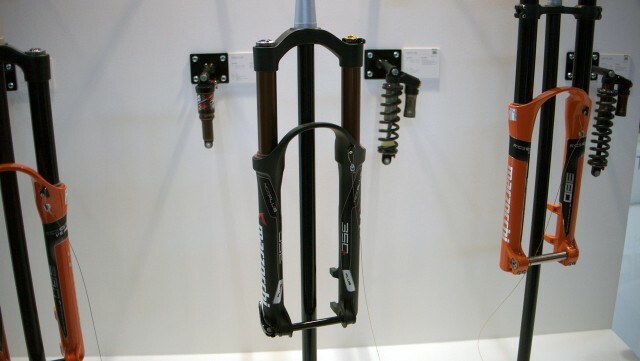 As well as that, the 350 has a tapered steerer, 15mm axle, 203mm max disc size, 35mm stanchions, and a weight of 2100 grams. 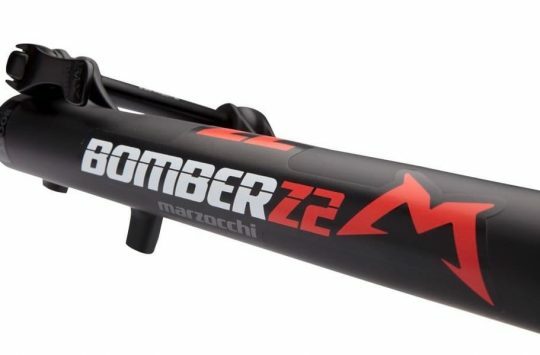 More on the 350 at the Marzocchi site. 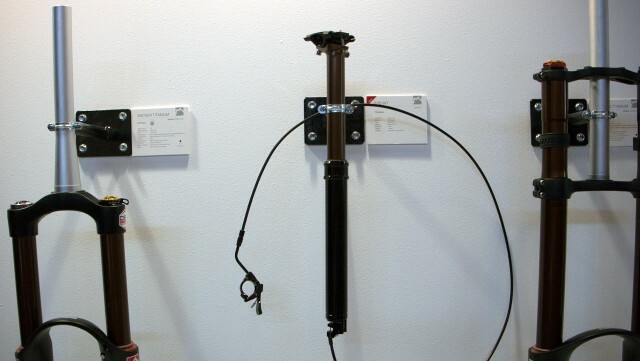 The Plus fork is similarly specced, available in two travel options of “trail” set to 140/120mm, and “enduro” at 170/150mm, a weight of 2000 grams, and 110x15mm axle. More on the plus fork here. Left to right: 350 RC3 EVO V2 AER, 350 Plus NCR, 380 RC3 EVO V2. Simple! 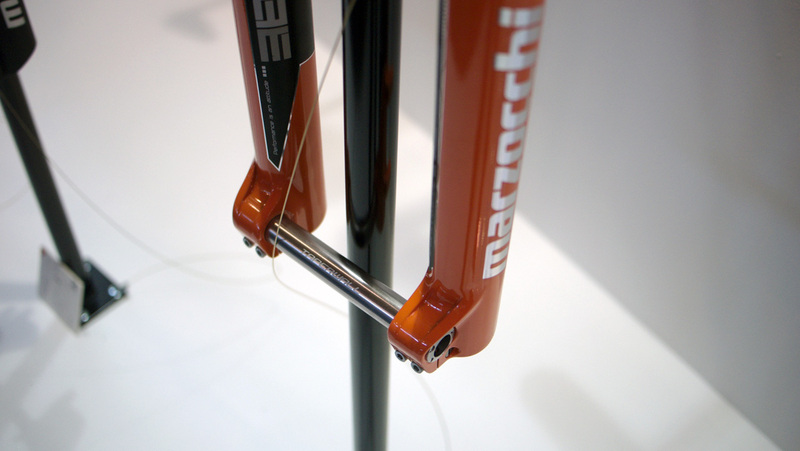 The DH fork is 200mm of orange beef, which you can find out about here. 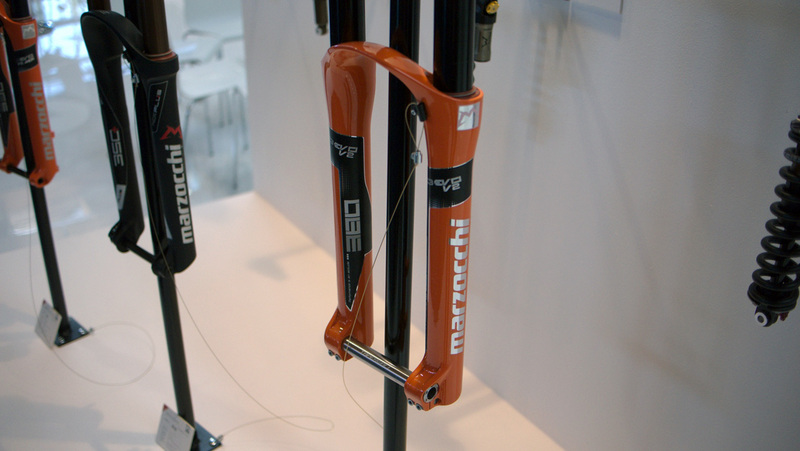 Not everything was on show at the Eurobike stand, but if you have a poke around their site you can see the EXT dropper and a few other new fork models. We do hope Marzocchi pull through in the next month, and look forward to their announcement at Interbike. It’s been a tumultuous year, and it’d be a great shame to see them go. Vying for Barney’s out-of-focus throne. Their stand was a bit empty looking at times, but they’re here with new product and I saw plenty of staff to-ing and fro-ing. Taperwall axle. Not Tapercore, which is a bike tech term AND a genre of music that existed for a few hours once on Tumblr. 200mm of henchness. Perhaps a bit much for Cannock. The black one is for plus-sized wheels, because Orange with three inch rubber would of course just be over the top. 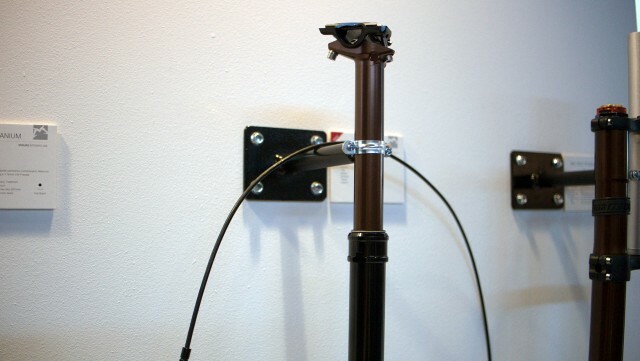 Tapered steerer, 15mm axle, 170mm travel and 35mm stanchions on the 27.5 non-plus fork. 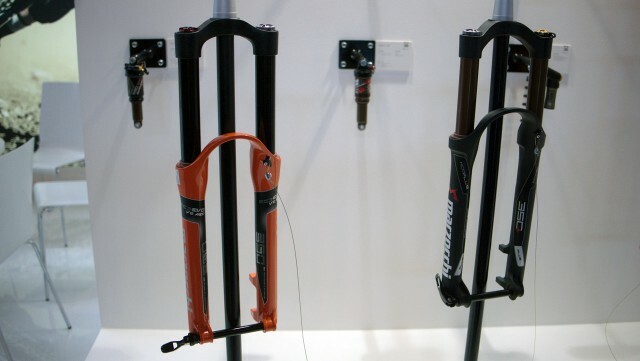 At long last, you can make your dropper and Marz fork stanchions match. 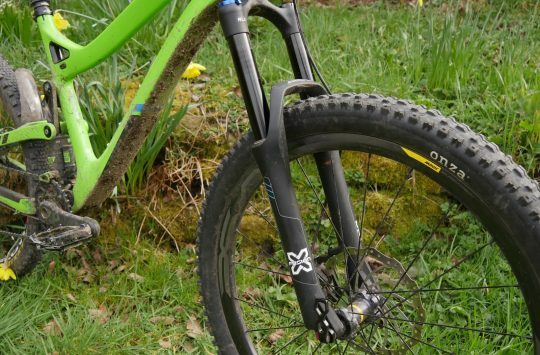 With no really confidence behind the warranty, it must be a hard sell at the moment, no matter how good/cheap the forks actually are.